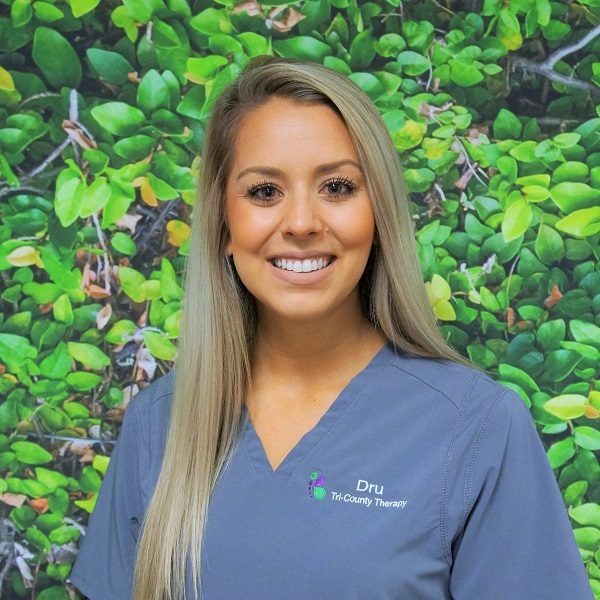 Dru was born and raised in Greenville, South Carolina. She graduated from the University of South Carolina-Columbia with a Bachelor of Science degree in Exercise Science and a minor in Communication Sciences and Disorders. She then went on and received her Master of Science degree from Appalachian State University in Speech-Language Pathology. Dru has a passion and commitment to serve others. With a broad range of clinical experience within the pediatric population, she has worked with children with disorders, including Autism Spectrum Disorder, apraxia, articulation disorders, and auditory and language processing disorders. Dru, also, has a particular interest in working with children with swallowing and feeding disorders. In her spare time, Dru enjoys spending time with her family, playing with her dog, Cub, relaxing at the beach, cheering on her Gamecocks, and traveling!